I love to play with snow when small snowflakes fall from the sky is the best feeling for me. Read on to know the 15 Best Places to experience Snowfall in India which I love to visit during winters and enjoy the snowfall at its best. Nothing can be more mesmerizing than watching the tiny snowflakes fall from the sky and cover the land like a pure cold white sheet. Snowfall is one of the best events during the winter season. There are many places in India where one can enjoy good snowfall during the winter months from November to February especially across the North India. Himachal Pradesh, Kashmir, Uttarakhand and North East become the first choice of tourist to experience amazing snowfall especially for the honeymoon couples and for family holidays in India. If you want to enjoy the snowfall and experience the beauty of it here we are with the list of best hill stations to enjoy snowfall in the month of November, December, January and February. 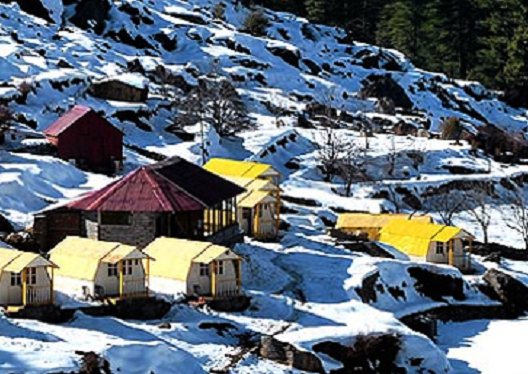 Visit to these winter destinations in India and experience the snowfall at its best. Read on to know about 17 Best Places to See Snowfall in India in winter season. Shimla a beautiful hill station of Himachal Pradesh is a popular tourist destination of India throughout the year but it transform into winter wonderland when a white blanket cover the place beautifully and one can experience the best ever snowfall here. 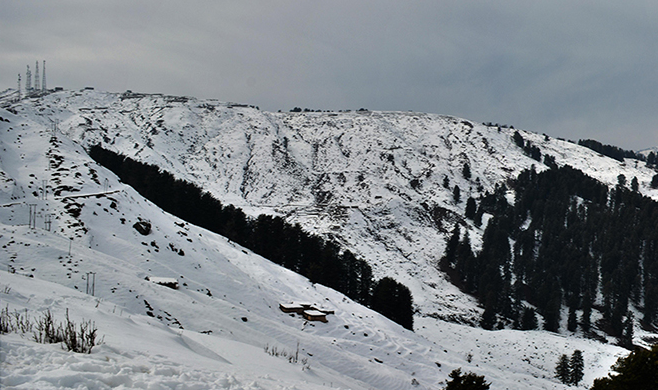 Best time to enjoy snowfall in Shimla- People who are looking for snow can visit Shimla between December and February. The average temperature during this season is around 8°C and goes down to -2°C so take lots of woollen clothes and enjoy the snowfall. 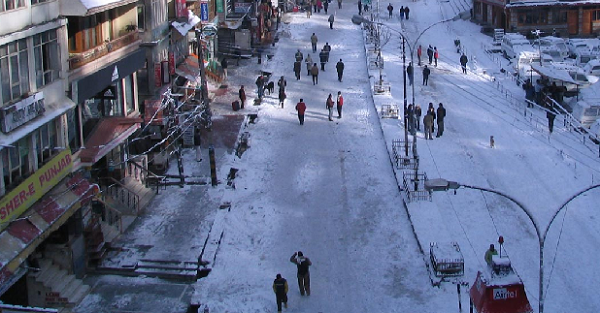 Tourists can enjoy the Ice-Skating Carnival in December at Shimla. One can also visit the nearby places like Chail, Kufri and Shilon Bagh for picturesque views and shopping too. Manali a beautiful hill town of Himachal Pradesh is one of the prime holiday destinations in India. It is full of natural beauty. High mountains surrounded by snow and large boulder are scattered in the deep valleys make the place mesmerizing. Thick forests, fields of wildflowers and fruit laden orchards all are the prime attraction of Manali. Though one can visit Manali throughout the year but there's no better time than winter when the entire landscape is carpeted by a blanket of snow. Best time to enjoy snowfall in Manali is December when it receives heavy snowfall and along with Solang valley, becomes a popular resort for skiing and ice skating lovers. Narkanda is beautiful hill station of Himachal offers a spectacular view of snow ranges. This is an ideal retreat for the tourists who seek some privacy in mountains. It commands a unique view of the eternal snow line and famous for Skiing & Winter sports. Hatu Peak, Jalori Pass, Kotgarh and Thanedhar are some of the beautiful places to visit in and around Narkanda. Best time to enjoy snowfall in Narkanda is between January and February as the slopes of Narkanda become alive by the movements of skiers. Narkanda receives heavy snowfall in winters so heavy woollens are required. One can say that Narkanda is a gateway to apple country of Himachal Pradesh. Dalhousie is a well-known hill station of Himachal places. The weather of Dalhousie remains pleasant for most times of the year but winters from December till February are very chilly where the temperature is ranging from 10 degree C to less than 0 degrees. 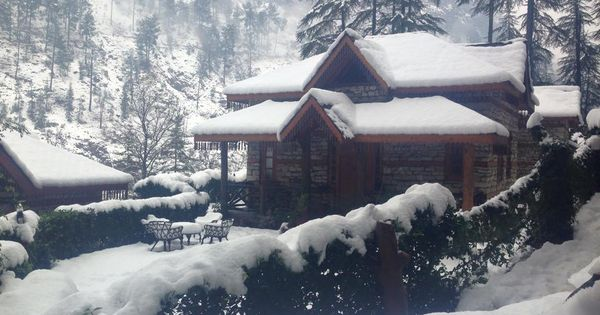 People loving snowfalls can visit Dalhousie during winters especially the honeymooners and experience the snowfall at its best. There are many places to visit in and around Dalhousie. Alla, a potato field, is a one of the most favoured spots by tourists. Karela Nu birth place of Subhash Chandra Bose, Dainkund Peak, Bakrota Hills, Dalhousie Cantonment and Tibetan Market are some of the beautiful places to visit. 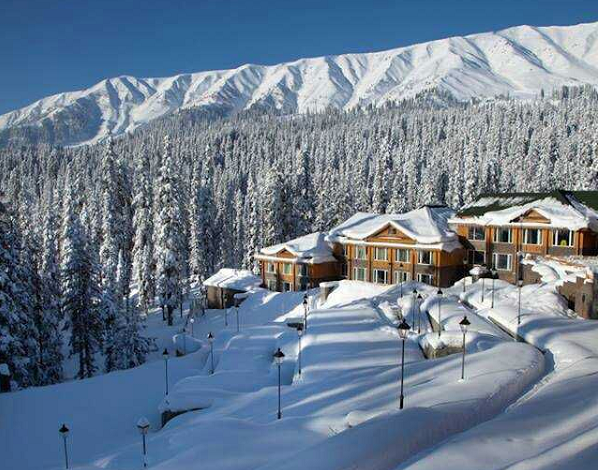 Gulmarg a beautiful picturesque hill station of Kashmir is one of the favourite destinations for snow lovers. It looks like a fantasy set and have been the venue of many Bollywood films. 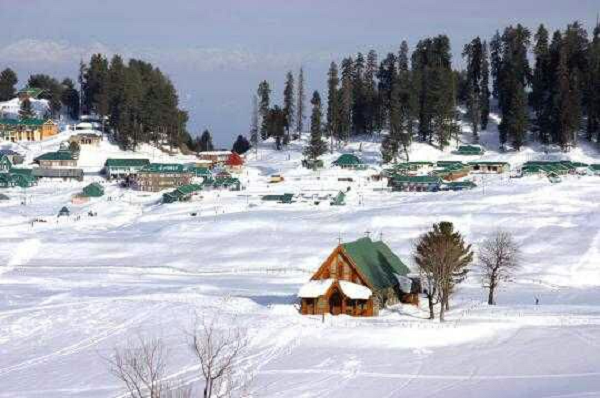 Gulmarg is known to be the most-visited Skiing destination in Southeast Asia. It is a favourite destination for the honeymooners, snow lovers and Skiing enthusiasts who visited Gulmarg from all around the world. Gondola Ride is the prime attraction of the Gulmarg other than the winter ports. Best time to enjoy snowfall in Gulmarg- Though the winters begin in the month of October but the temperature reaches to zero degree from the starting of November. Tourist can enjoy Skiing, snowboarding during this time and many honeymoon couples come to visit Gulmarg. For snowfall December-end to mid-February is the perfect time to visit Gulmarg but make sure to pack heavy woollens as the temperature can drop down till -4 degree Celsius. Pahalgam a wonderful hill station of Kashmir becomes more mesmerizing during winters when the entire landscape is carpeted by a blanket of snow making it more beautiful and picturesque. Every year in the month of January or February, Jammu and Kashmir tourism organised a grand snow festival at Pahalgam where tourists can enjoy many adventure activities like horse riding, skiing and sledging. Best time to enjoy snowfall in Pahalgam - For snow lover the peak winter season during the months of December and January is the best time to visit. The temperature drops down to sub-zero levels and the entire mountain range as well as the rough terrain get covered with the snow. Sonamarg means Meadow of Gold is a hill station in Ganderbal district of Jammu and Kashmir. It is the only place where one can witness the snow throughout the year. 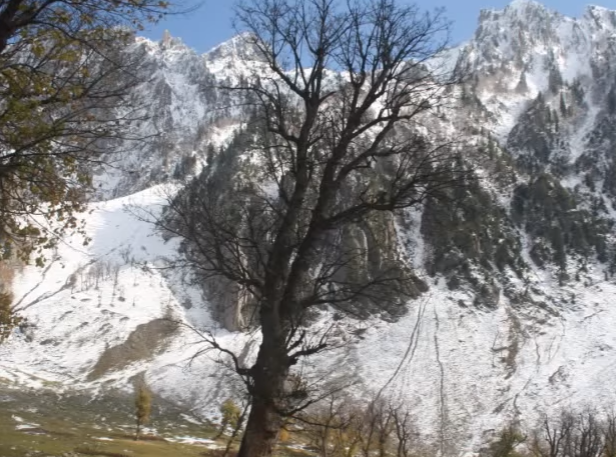 Many Bollywood (Hindi) movies have been pictured in the serene beauties of Sonamarg. Best time to enjoy visit Sonmarg to enjoy snowfall- During the winter months from November to April Sonmarg is all covered with snow. Though the excessive snowfall and subzero temperatures can make visiting the area a bit difficult but the snow vistas at this time are picturesque. Main attraction of this place is Thajiwas Glacier. Being the hub for the annual Amarnath pilgrimage it's good to book your accommodation in advance. 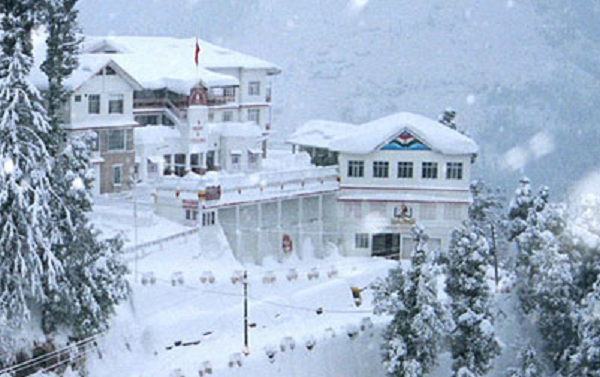 Auli is the well-known hill station of Uttarakhand famous for its fascinating ski resorts and natural beauty. Surrounded by the snowy peaks of Himalayas, this hilly region offers the mesmerising sceneries of oak fringed slopes and coniferous forests. Besides these snowy peaks and coniferous forests, the slopes offer the breath-taking views of apple orchards and fine deodar trees to make your morning walks more refreshing. Auli offers unexplored and unexploited snow slopes fresh enough to leave behind distinct footmarks and clean enough to taste the snow. The snow slopes of Auli are generally known for their winter sports. Splash some snow at each other, make some ice sculptures or throw snowballs can bring your inner child out. Best time to visit Auli for snowfall- One can visit from December to early March to experience the amazing snowfall or just to wrap in a white blanket of snow. Chopta is a popular tourist destination in Uttarakhand during the winter months due to the snowfall that the area experiences. It is the best place to enjoy natural beauty and to relax, without the hustle and bustle of a typical tourist hotspot. It is also one of the popular trekking destinations in Uttarakhand. You can take a trek to the nearby region of Deori Tal a very famous lake surrounded by lush green forests on all sides. You can also take a trek to the temple in Tungnath, easily completed without any guidance, as the roads to this temple are well paved and set. 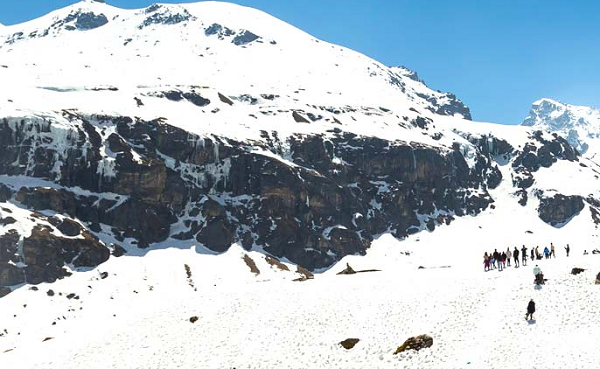 Best time to visit Chopta for snowfall- winter months from January to March are the best for travellers interested in snow fall or want to experience snow trekking in Chopta. Kasol, small a hill station located in Northern part of India is all blessed with the natural beauty. It is known for its known for its Israeli inhabitants, Beautiful Parvati River, Trekking base camp and Malana a small village. This beautiful hill station is surrounded by the snow clad Himalayas nestled in the lap of Parvati valley is an ideal destination for trekkers and backpackers. Though Kasol has pleasant climate all around the year but in winters one can experience mesmerizing snowfall. Manikaran Gurudwara, Malana Village, Tosh and Kheer Ganga are some of the places to visit in Kasol. Best time to visit Kasol for snowfall- winter months December and January are the best to experience snowfall and admire the natural beauty at its best. 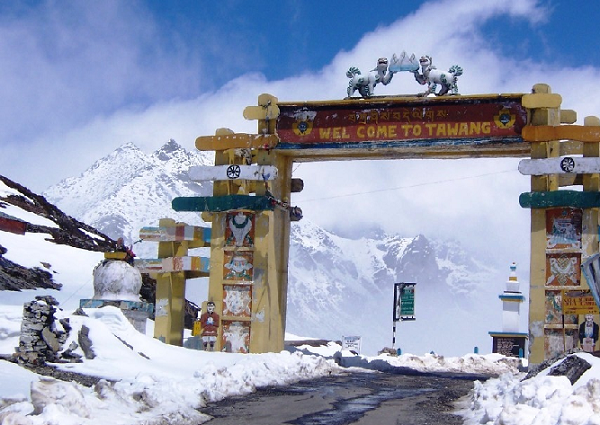 North Sikkim is a beautiful place to enjoy snow almost throughout the year. Some of the areas like Yumthang known for experiencing snow almost all year round but sometimes shut down due to heavy snow so, it's advisable to check and confirm before you plan a trip to this place. 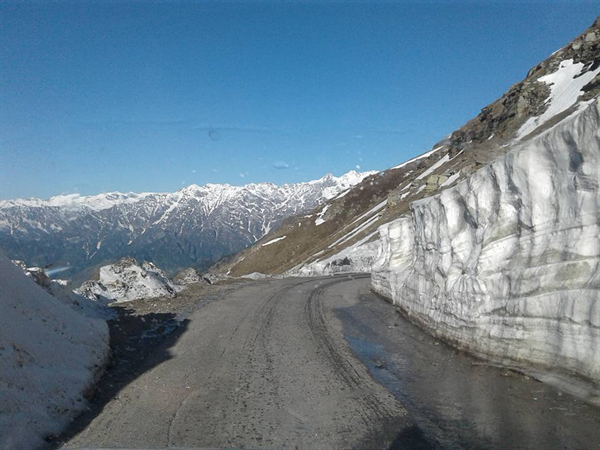 It is one of the best snow places in India where one can enjoy the spectacular views totally worth the pains of harsh winter conditions here. Best time to visit North Sikkim for snowfall - Tsomgo Lake, Nathula, Yumthang are some of the places where you can find snow for almost the entire year. 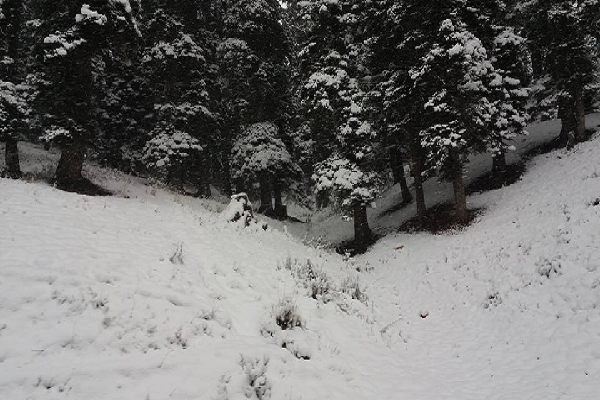 For most other areas in North Sikkim winter months from October to December would be good to experience snowfall. 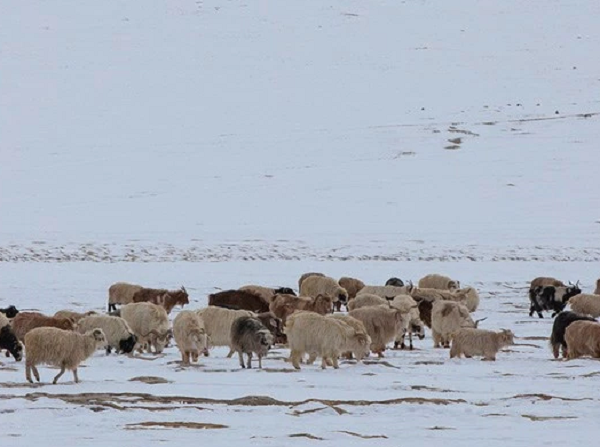 Ladakh in winter is the ultimate experience for snow lovers as the temperature below to the freezing point -30 degree Celsius sometimes nothing can stop the true snow lovers to visit Ladakh even during peak winter season mid-January to February end. The highlands of Ladakh go through an amazing transformation in winter. Mountain slopes all get covered with the white blankets of snow with an endless expanse of soft snow dominating the landscape. While both the land routes to Ladakh close in winter but internal roads remain open. Khardung La, Nubra Valley, Pangong lake, Tso Moriri, Leh, Sham Valley and Monastery Circuit are some of the beautiful places in and around Ladakh to visit. Best time to visit Ladakh for snow- From Mid-January to Mid-March is the best time to visit if you love the snow. This the time when adventure tourists visit Ladakh for the famous Chadar Trek, involving walk over the frozen Zanskar River. One can also witness the changing colours of Pangong Tso Lake and Tso Moriri from November to December to mid-January. After this, the Lakes get completely frozen with solid ice and one can even easily walk on them. 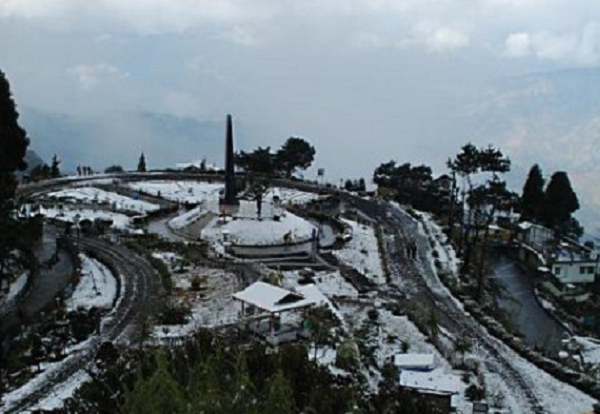 Lava, Lolegaon and Rishop are small villages situated in Darjeeling district of the state of West Bengal one of the few places in West Bengal to receive snowfall in winter. Lava is the entry point to the Neora Valley National Park from Kalimpong. 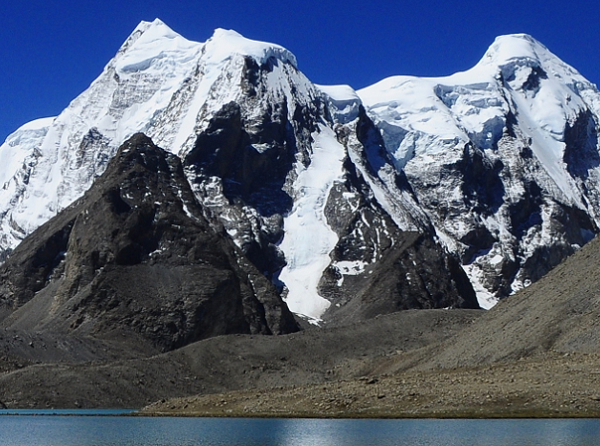 Tourist can enjoy the panoramic snow views of Mt Kanchenjunga, Mt Siniolchu, Jelep La Pass, and Rechila Pass. Best time to enjoy snowfall at Lava, Lolegaon and Rishop- snowing starts usually from December onwards heavily from January and snow cover remains till April-end. The places will reward you with wonderful snowfall along with stunning views of Kanchenjunga and other snow peaks during winter season. Nathatop is at a distance of 14 kms Patnitop is wonderful place covered by thick snow during the winter months. It is an excellent choice for skiing activities and also has three scenic freshwater springs known for their medicinal qualities. The place is most visited by the tourist during winter season because of as many snow activities are organised by the peoples like paragliding, skiing etc. Best time to visit Nathatop for snowfall – winter months of December to February are time to experience the snowfall and enjoying snow sports. I heard that many hotels in Kasol only accomadate Israelis. I would like to visit there. Please suggest a good hotel in Kasol that accomadate Indians? 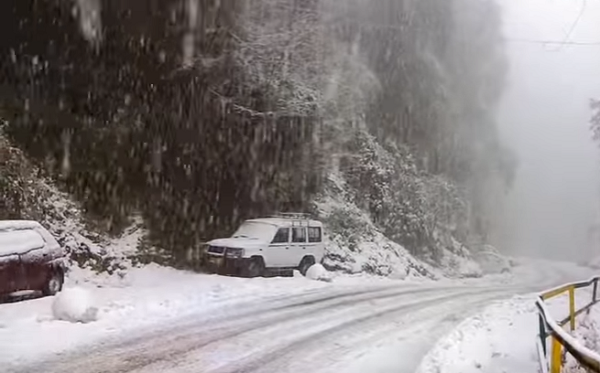 A beautiful description regarding the best 15 places to see snowfall in India. Can someone tell me if we can hire tents directly to stay overnight instead of booking all this in advance? if yes what exactly will be its rent?